Bruce Rogers is Director of the Energy Efficiency, Power Delivery and Utilization group in the Technology Innovation organization at the Tennessee Valley Authority (TVA). He is responsible for research programs that enable TVA and power distributors to operate the power delivery system more efficiently and reliably and to more effectively interface with end use consumers. Technology research in his area of responsibility is primarily achieved through application of Smart Grid concepts and energy efficient technologies on the TVA or distributor power delivery systems or at end use consumer facilities. Mr. Rogers is also responsible for TVA’s electric transportation research program. 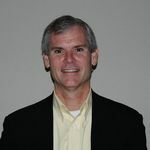 Mr. Rogers has over 32 years utility experience at TVA managing technology research and development activities to improve the marketing, sales, delivery, and use of energy products to wholesale and retail energy markets. He is a recognized industry leader in the areas of: energy efficiency, demand-side management, power delivery efficiency and asset management, and power quality. He has authored or co-authored numerous technical papers and articles within his area. He has also served as chairman or committee member in several ASME, IEEE, and EPRI users/working groups. He currently serves in advisory leadership positions at the North Carolina State University FREEDM Systems Center, the Power Systems Engineering Research Center, and the National Electric Energy Testing Research and Applications Center Mr. Rogers received the Bachelor of Science in Mechanical Engineering degree with honor from the University of Tennessee at Chattanooga.